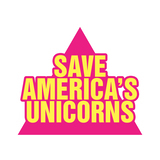 You may receive updates from Save America's Unicorns, the creator of this letter campaign. The wild horse is one of America's most iconic, magical creatures. Throughout our history, this animal has been by our side. But their survival and status as a protected species is currently under threat. In upcoming weeks, the Senate Conference Committee votes to lift a historic ban on horse slaughter and sales. If we don’t act quickly, the wild horse is soon going to be as mythical as the unicorn. Write to your senator and demand that they Save America’s Unicorns. Thank you.